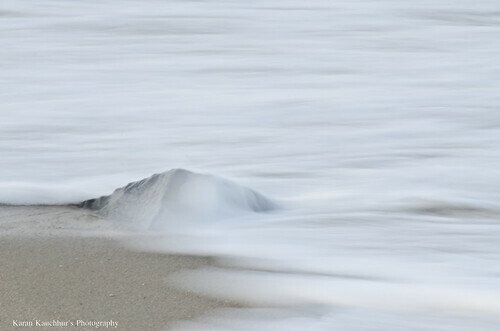 Recently I have been trying some minimalism abstract coastal shots. I have mostly in these case used a 70-300 Nikor VR lens VR. For these shots I had to isolate the subject from the rest of the scene, hence the telephoto lens. 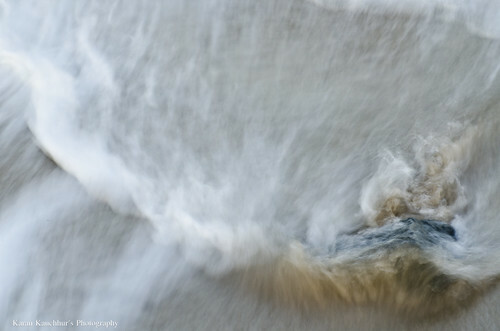 Another reason is that since I am playing with waves, its important that I keep my camera away from the high tide so as not to risk it from getting wet. I have already once almost destroyed my Sigma 10-20mm lens by getting to close to water. I had to drive 2.5 hours to Sigma office to have it fixed. Don’t want to do that again 🙂 . A telephoto helps in such scenarios. The images below are all long exposure shots, essentially 1s or more. For these photos I had to make sure that I don’t go to more than 2-3 seconds ( based on natural light) so as to get good texture from the waves and not make it look like “mist”. For some reason there are a lot of rock jettys on the beaches of Jersey, which really helps when you are looking for crashing waves or a foreground interest or even leading lines. 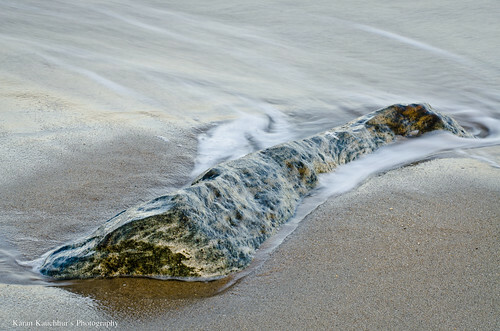 For the image above, I timed the shot so that the waves go over the small rock and give the bump in the texture. This image in my opinion emphasis on the art of seeing. 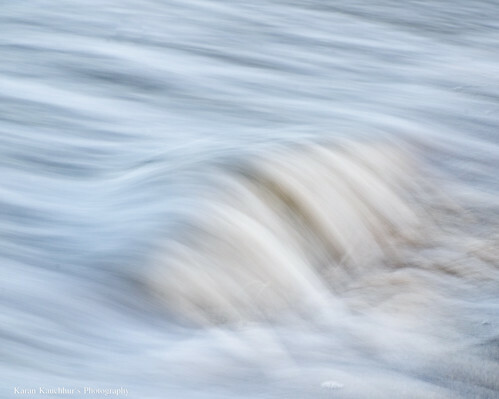 As a photographer it is imperative that you have a keen eye on such details. 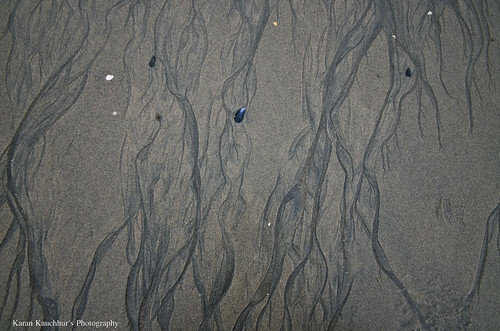 There are no waves here, just the groves on the beach as a result of receding waves. ← Back to Sandy Hook ..
All the images are pleasing, Karan, but the last is my favorite of the bunch and for the reason you mention. I appreciate this post, and love this last shot. Gorgeous! Yes yes ! keep us posted !